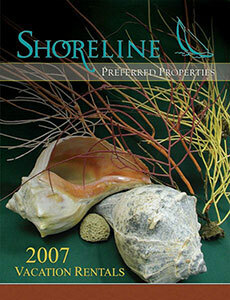 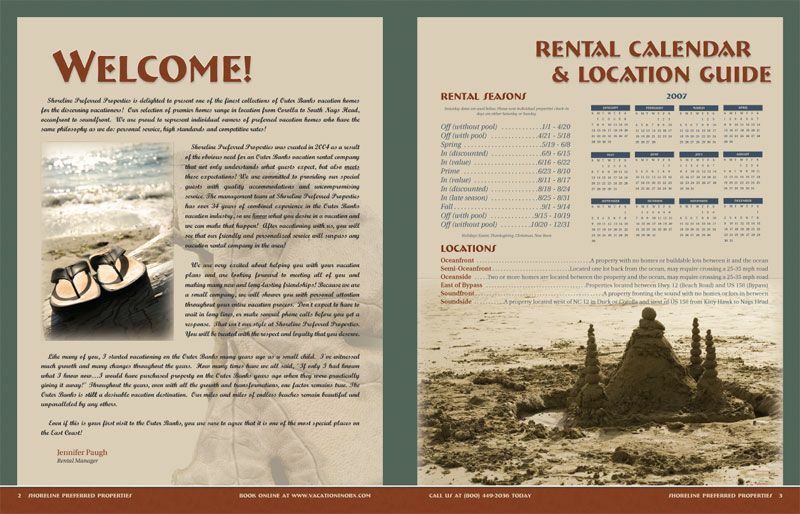 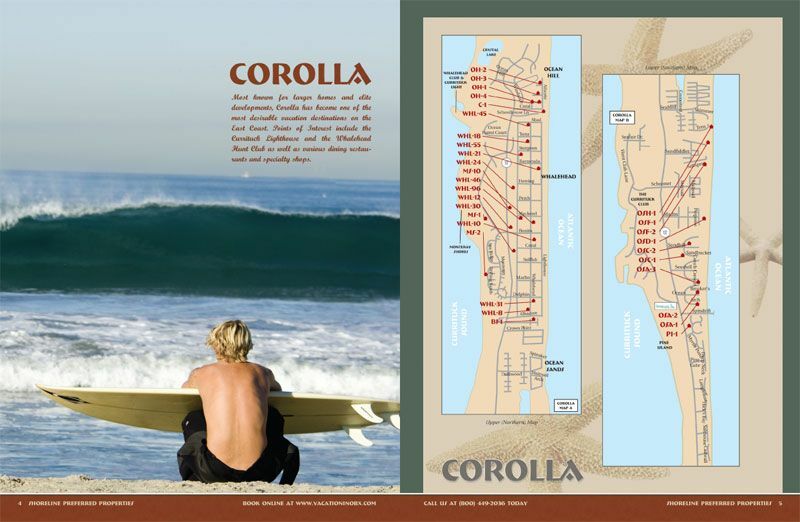 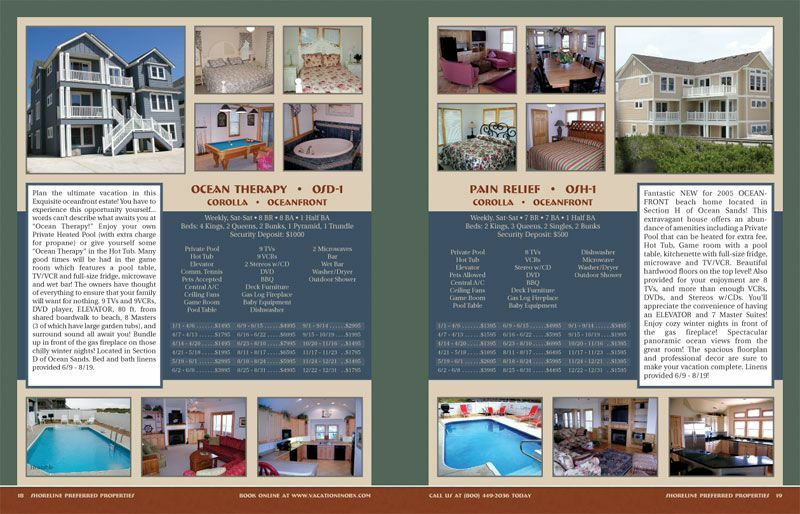 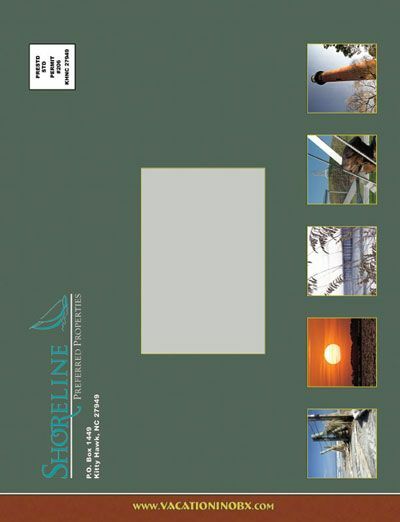 The 2007 rental catalog for Shoreline Preferred Properties is the second catalog we completed for them. 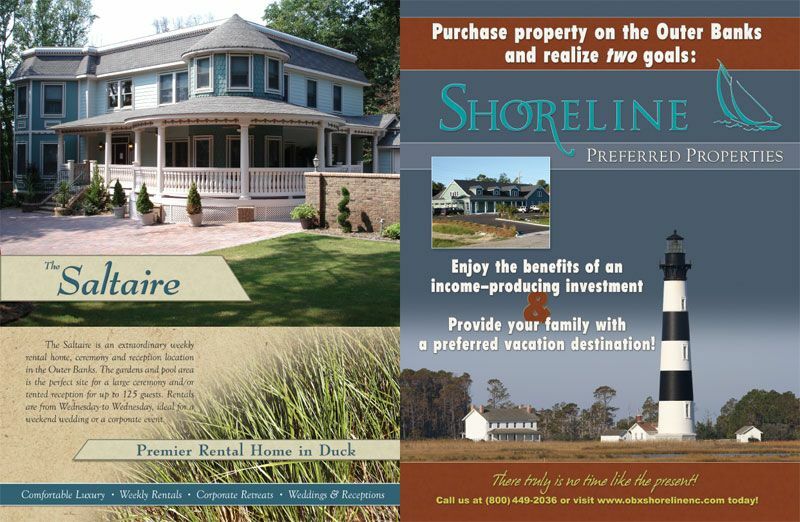 Every year, Bold Print Design Studio is responsible for the entire layout, graphic design, document layout, image touch-up, and print/production management. 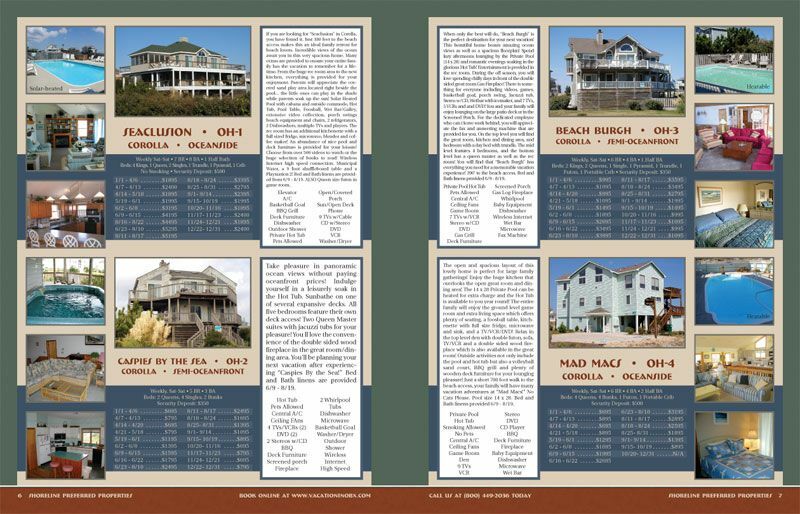 To keep the catalog looking fresh from year to year, we change the cover, the color scheme, house cell templates and more.